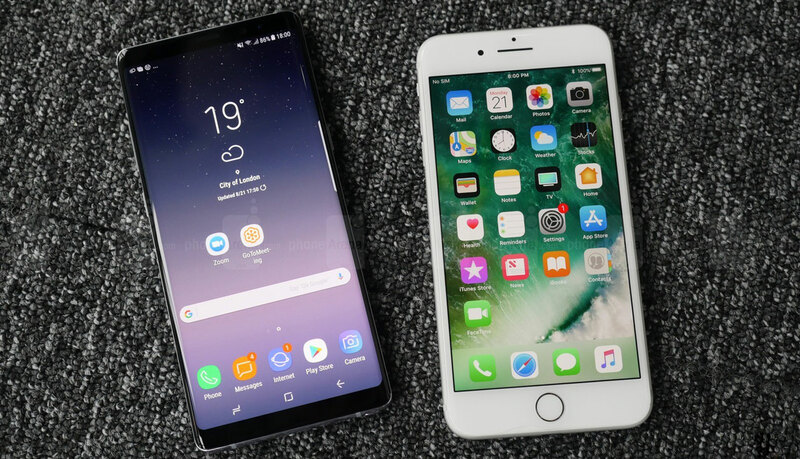 You are here: Home / Technology / Gadgets / Samsung Galaxy Note 8 vs iPhone 8: What’s Your Next Flagship Phone? 1 Samsung Galaxy Note 8 vs iPhone 8: What’s Your Next Flagship Phone? Samsung’s new flagship phone this year has already taken hearts of smartphone lovers. Needless to say, it looks superb in terms of design, size and performance. Yet we have iPhone 8 to compete too with the same rhythm. But who achieves most votes can be measured only if we compare each of them from various aspects. 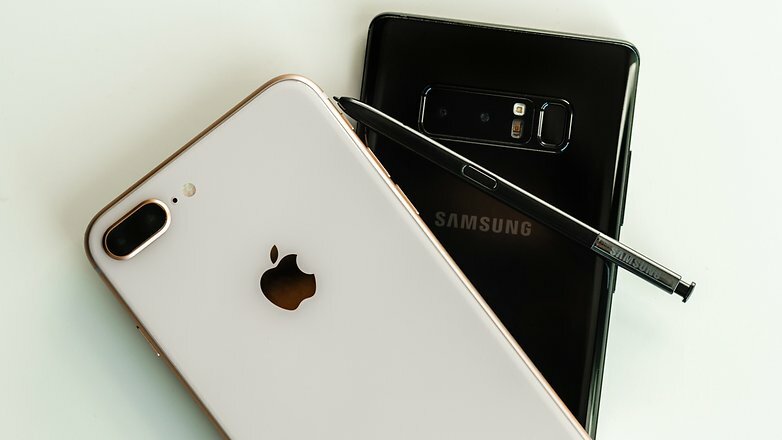 So let’s take a look at Samsung Galaxy Note 8 vs iPhone 8 smartphones features and detailed specifications in store for us. Note 8 is superbly attractive and stylish. From curved display to back fingerprint sensor, this phone is sure to swoon you from the just one glance. iPhone 8, on the other hand, does not have much difference from its predecessor in terms of style and design. Note 8 is the first to come with ‘Infinity Display’ which means you get to enjoy a wider and fuller screen. This was done due to changing the position of the Home screen and shifting the fingerprint sensor to the back. This design can be technically called as futuristic as no other handset has a similar display so far. iPhone 8 still features the Home screen in its usual place like the predecessor sets. The best part is Note 8 has 6.3 display which makes the experience more alive and stunning. iPhone 8 features 4.7 and iPhone 8 plus features 5.5 display. Note 8 is powered by Qualcomm Snapdragon 835 processor, 6GB RAM and QHD+ resolution. iPhone has A11 Bionic Processor which is said to be a very fast processor in providing super performance. Inbuilt storage of 64 GB comes with Note 8 but it is not upgradeable except if you do so by a micro SD card. Apple, on the other hand, is offering 64 GB upgradable up to 256GB. But Samsung with its stylus and built-in iris scanner got much attention. iPhone does have a Face ID scanner that comes with iPhone X range and not with iPhone 8, so Touch ID is the only form of security. Note 8 is capable of capturing amazing shots even in the low light. Photos are clear and crisp. You get a super quality picture with the dual camera supporting 2x optical zoom. iPhone 8 has single lens camera with the 12 megapixels with its portrait mode giving better contrast and accurate images. Both Note 8 and iPhone 8 has almost similar battery life. They also feature wireless charger which is easily used anywhere. Finally when it comes to choosing it can be said that both Samsung Galaxy Note 8 and iPhone 8 are pretty good. But the final race is won by Note 8 because of its stunning screen, higher resolution than iPhone 8 that is 2960*1440 P-OLED at 551 ppi. Both the versions of iPhone 8 are based on similar format following their predecessor. So if you are actually looking for a mind-blowing smartphone this year Note 8 is your pick undoubtedly.